For Sale is One (1) Miscellaneous Travel Bag. Need a simple solution for keeping travel items organized? These bags are a stylish answer! 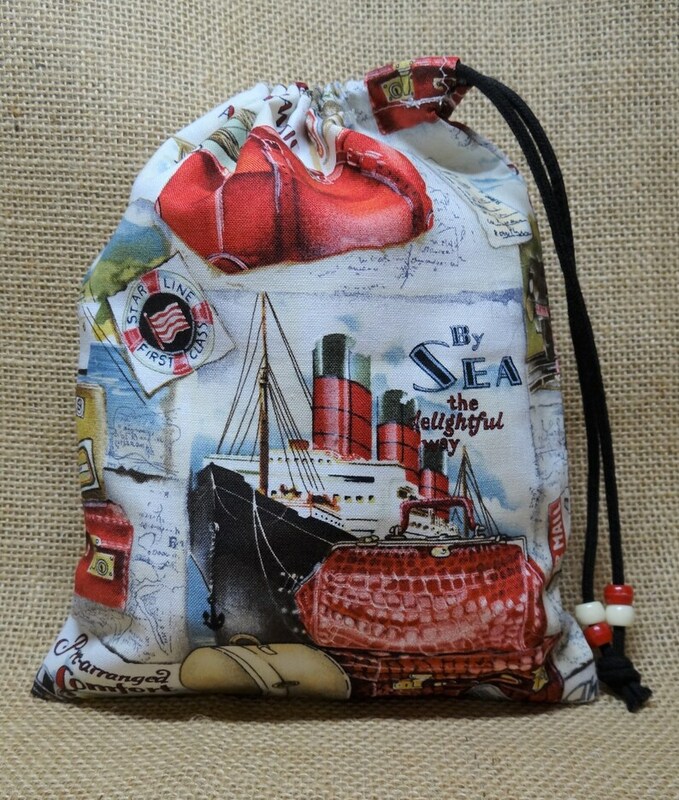 Made with "travel by land, sea, and air" adorned fabric and coordinating drawstring cord and pony beads, these bags will keep your items organized in a suitcase or carry-on while traveling. Simply fill the bag and pull the drawstring tight. Your items are safe until you need them again or arrive at your destination. These bags are washable and durable. They are great for storing toiletries, electronics, accessories, snacks, and more! Please let us know if you are interested in a smaller or larger size bag or a bag sewn using a different fabric. We are eager to please and happy to create a custom order for you at no additional charge.